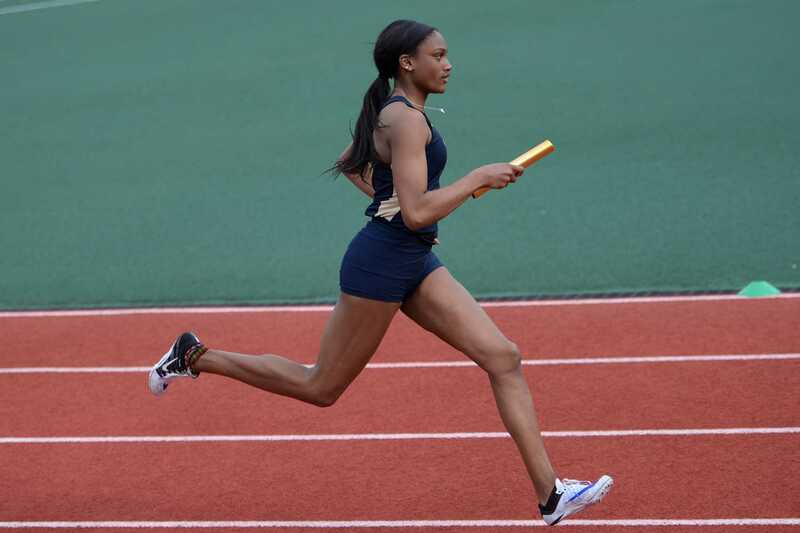 In the scorching Texas heat, five Pittsburgh track athletes competed in the annual Texas Relays — the second biggest relays in the country — at the University of Texas at Austin. The Panthers sent four women — seniors Morgan Harvey, Quadaisha Newkirk and Lalia Ismail and first year Breanna Phillips — who all competed in the 400m hurdles. Junior Ken Brosier, who also competed in the 400m hurdles, was the lone representative for the men. No Pitt athlete made the cut to go on to the next round after the heats for both events concluded Thursday night. The best performance came from Newkirk who was one of the top nine hurdlers in her heat, finishing 17th at 59.75. The rest of the women followed, with Harvey at 1:01.12 and 29th place, Ismail at 1:02.35 and 40th place and Phillips at 1:04.08 and 60th place. Brosier of the men’s team didn’t fare any better, finishing 58th with a time of 54.31. But despite failing to qualify, the Panthers will have another chance to prove themselves. The Panthers will compete in the Penn Relays in Philadelphia at the end of April. This was also only the second outdoor meet this year for the Panthers, after weather forced cancellations for the 49er Classic two weeks ago and last week’s meet at Carnegie Mellon. Harvey, Newkirk and Ismail have all had major impacts in their senior seasons in both indoor and outdoor competitions. All three, along with senior Desiree Garland, helped break the school record in the women’s indoor 4x400m relay at the Meyo Invitational in early February, which stood for six years prior. Harvey, along with Newkirk, led the women’s 4x400m relay to third place at the 49er Classic to kick off the outdoor season. Newkirk also finished well at the 49er Classic, finishing second only to Katrina Seymour, who was representing the Bahamas in the women’s 400m hurdles. In the indoor season, she advanced to the ACC Indoor Championships where she finished at 15th in the 400m. Phillips was impressive in her first year in the pentathlon, as she consistently set personal records and finished in 11th place at her first appearance in the ACC Indoor Championships. Both teams didn’t have high finishes in the ACCs, with the women finishing 12th of 14 and men finishing last in the conference. But there are individual performers who could find success as the outdoor season progresses. Senior hammer thrower Andin Fosam and junior long-distance runner Gillian Schriever will be looking to make it back to Nationals. Both hold the school records for the hammer throw and the 10k, respectively. Newkirk, Harvey and sophomore Danielle Leaks will also be hoping to make it back to Nationals in the 4×400 relay, where they finished in 24th place last year. On the men’s side, first years Greg Lauray and Kollin Smith had eighth-place finishes at the ACCs, with Lauray in the high jump and Smith in the long jump, respectively. The Panthers will send athletes to three other meets this weekend, including the San Francisco State Distance Carnaval, the Raleigh Relays at NC State and the Stanford Invitational. All three events will take place Mar. 30-Mar. 31, Friday and Saturday.